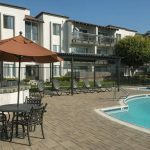 Welcome to Whiffle Tree Apartment Homes in Huntington Beach! We are located minutes from the Huntington Harbor and Beaches. Nearby are shopping, dining, schools and medical services. The commute is easy with onsite parking and easy access to I-405, I-55, and PCH. 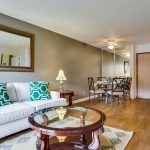 Our apartment homes are newly renovated and feature hardwood floors, accent walls, granite countertops, ceiling fans, and upgraded fixtures. Some units also include a washer, dryer, breakfast bar, and dishwasher. You’ll enjoy the comfortable clubhouse with internet service available. Swim in the pool, soak in the spa, or work out in the fitness center! Have friends over for a BBQ in our picnic area. Join a basketball game or challenge your neighbor to a billiards tournament. Remember that we’re pet friendly at Whiffle Tree as well.